The Bill: Where are they now? 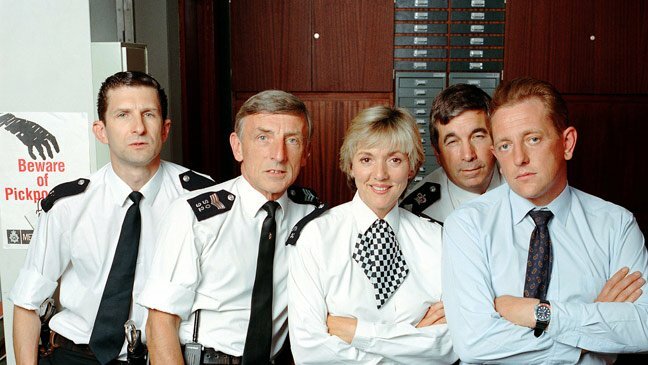 The Bill was a popular ITV police TV series which aired between 1984 and 2010. It originated from a one of drama called Woodentop which was broadcast in August 1983. The program focused on one shift of police officers and their lives in and out of the force. It set records as being the second longest police procedural television series in the UK and one of the longest ever running TV Series. UKTV’s Drama have taken the decision to re-run the classic TV series and it made us think, what happened to some of the famous faces of the show though? Well take a look below and find out! 1. Bob Cryer played by Eric Richard. Eric Richard played honest and hard working Sgt Bob Cryer. 20 years he was involved with the program so was one of the best know actors in the show. 2. Samantha Nixon played by Lisa Maxwell. Lisa played Detective Inspector Samantha Nixon in 2001. She stayed with The Bill until 2009. She regularly appears on Loose Women and in 2013 became David Wicks’ girlfriend Naomi in Eastenders. Last year she took up the roll of a dysfunctional mother of the three Donovan brothers and Grace Black. She was killed off in September. 3. Don Beech played by Billy Murray. Famous for being more of a bad cop than a good one, Billy played Detective Sergeant Don Beech for almost 10 years. He last appeared on the show in 2004 when he went on the run in Australia. A year later he became a gangster called Johnny Allen when he joined Eastenders. Since this he’s been seen working in some British films including Rise of the Footsoldier, Dead Cert and Doghouse. You may even recognise his voice in the popular game series ‘Call of Duty’. DCI Frank Burnside was played by Christopher Ellison between 1984 and 2000. He even took the character to a self titled spin off show called Burnside. It was dropped after one series though as it didn’t seem to be as popular as the The Bill. He’s been seen in a number of shows since appearing in The Bill some of them being Celebrity Come Dine With Me, Fort Boyard, Mousetrapped and The Worlds Most Stupid Criminals. He’s had small parts in New Tricks, Casualty and Minder and also appeared in Eastenders in 2007 as Len Harker. Andrew played DCI Neil Manson from 2003 until the show finished in 2010. He was really popular between fans of the show and he appeared back on our screens when he took the role of Frank Foster in Coronation Street. Frank was the terrible fiance of Carla Connor and this role earned him the Best Villain award at the 2012 British Soap Awards. When his death in Corrie came around it left him with the opportunity to set up and run his own production company. He is currently a regular panelist on The Wright Stuff on Channel 5 and covers the Pete Price Radio show. 6. Phil Hunter played by Scott Maslen. Scott played Detective Sergeant Phil Hunter between 2002 and 2007 before leaving for Eastenders. He jumped ship in 2007 to play ex-policeman Jack Branning. It didn’t go down well with ITV as they thought he was poached at the time. He’s been playing Jack Branning for 10 years now though so the move was a good one taking into account The Bill isn’t around any more. 7. Reg Hollis played by Jeff Stewart. Jeff played Reg Hollis for almost a quarter of a century. A funny chap who was a bit downtrodden, nerdy and just an all round odd person. He became one of the best-loved coppers on the show but it all came to an end in 2008 when he was written out of the show. Even though he played Reg for so long, he’s become successful in the acting world. He’s appeared in independent and indie films with one roll earning him the Best Actor award at the Manhattan Film Festival in 2011. 8. June Ackland played by Trudie Goodwin. Trudie played Sergeant June Ackland for over 2 decades in the show. She appeared in the original pilot episode in 1983 and was the last original cast member left by the time the show ended. Since The Bill she’s appeared on Loose Women, Dictionary Corner on Channel 4’s Countdown and Bill Baileys Birdwatching Bonanza. In 2011 she appeared as Georgia Sharma in Emmerdale, the mother of Jai, Nikhil and Priya. She made a guest appearance in Casualty in 2016 and her daughter, Elly Jackson is the popstar La Roux! 9. Smithy played by Alex Walkinshaw. Alex is know for jumping between soaps but he started out on The Bill. He played Inspector Dale “Smithy” Smith and was involved in most of the shows biggest stories. He was shot, stabbed and even went undercover at one point. He stayed until the last episode in 2010 when he moved on to other shows. First he appeared on Waterloo Road before moving to Casualty to be Nurse Fletch. In 2014 he moved from Casualty to Holby City were he’s been ever since. 10. Tony Stamp played by Graham Cole. Fans of The Bill lobed PC Tony Stamp played by Graham Cole. He played the role between 1984 and 2009 which comes to a massive 25 year stint. He was so recognisable as PC Stamp that he often appeared as him on other TV Shows such as Noel’s House Party. He also presented and narrated Police Stop! which was a police video program. He was, in some peoples eyes, controversially written out of the show in 2009 when The Bill went under a big relaunch. He’s still busy away from the show though as he’s released his own autobiography ‘On The Beat’ and continues to take on various stage roles. The Di Marco Family from EastEnders: Where are they now?